How much is this research being used at all? 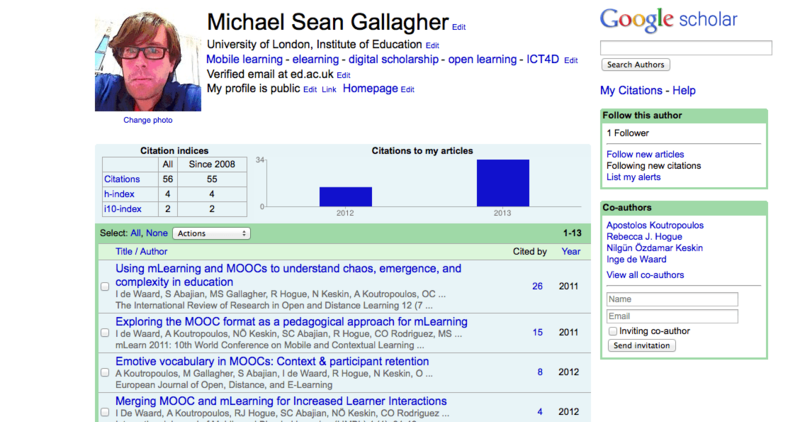 There is research available discussing citation pattens with closed and open systems. I list some sources at the end of this post that might be of interest to some. On a personal level, I try my hardest to get at this literature and have resorted to purchasing individual articles at extortionate rates, but we are kidding ourselves to think that these works are still being used with great frequency, prestigious journal or not. When we as academics begin to disassociate ourselves from the prestige factor, we will have made some progress. They are prestigious because of the quality of the work being presented there. Just shift that presentation towards open access. Nothing new here, but this kind of access limitation leads only to citation loops, those w/access using work from others that they have access to. I think a study is needed here not on citation patterns within disciplines, but on citations pattern within institutions. Ie, what are the citation patterns of private, endowed university A vs. state system university B vs. small university or college C? I think that is where the discrepancies will turn up strictly based on the purchasing power of their representative institution. More importantly, what kind of impact could this research be possibly having on the larger academic discussion worldwide? I understand the dynamics of tenure and all that, but I would want my research to have some measurable impact or inclusion in the broader academic discussion. Otherwise, it is like an assessed diary. Used for passing review or promotion, but little circulated and used. Hence the academic relevance of blogging not merely as a tool for reflection but as a tool for dissemination. Academic publishers are literally creating this alternative market for dissemination. More broadly, I think we have lost sight of the forest for the trees here. We are in the business of advancing knowledge and anything short of that is unacceptable. Some aggregators, databases, and services offer free access to their holdings from those in the developing world and for this they should be applauded. I worked at one myself that offered free access to all non-profit organizations in Africa and heavily discounted rates elsewhere. It is a model that subsidizes free access in the developing world with fees from the developed. I don’t have an issue with that model in the slightest, but I am often at odds with others on that. I respect that debate. More importantly, imagine the lack of impact that this academic knowledge has on the developing world when free access is not available. Perhaps a bit aggrandizing here, but I believe we have a duty to generate, disseminate, and steward. Generate the academic knowledge, disseminate as broadly as possible, steward the entire academic community towards our common goals. Closed or obtuse systems of access stunt at least two of these goals and that has a much more disastrous impact on institutions that are already disadvantaged financially. To begin, most of my publications are listed here. So what is my responsibility here? On a personal level, as a novice researcher and academic (and one fully open to working post-PhD inside or outside academia), I try my hardest to publish in open-access journals. When I co-author, I follow the will of the group. I have no issue with that as long as the group understands the impact of that decision: our work will circulate through a much smaller group of readers. When I self-publish through Amazon or through Dropbox, I set a price (reasonable, I hope) as I don’t have an institutional salary (at least I didn’t then). There needs to be a model for academics like me without an institutional lifeline. It also limits access, yes. That is the necessary contradiction in this exercise. I try to set it much lower than any academic publisher would attempt. I lower it whenever possible and make it free for those institutions that are unable to pay. All my motivations and decisions of this sort are transparent on my blog (and I am open to criticism of them). Everything else I publish is either via my blog or an open access journal (IRRODL being my personal favorite). It is freely available. It isn’t subsidized by fees aimed at either authors or readers. It is subsidized by the participating organization itself who feel and act as though it is their mission to do so. I applaud that. For those considering open access publishing, it is merely a matter of looking through the list and submitting there. If you are worried about impact, consider the impact factors of open access journals. But as you write something and consider its publication, pause and reflect on an open access alternative. It is really as simple as that. A good place to start is to just look through The Directory of Open Access Publishers (DOAJ) and choose on that suits your research focus. If you are concerned about impact, consider the standard metrics of measuring impact factors as they include open access publications as well. If you more concerned about readership, then good on you. You have already made the transition to open access publishing. But above all of this, I desperately want my research to mean something. I want it to be used. I am not doing this for my health or for mere promotion. It is a calling and we should remember that. We can discuss how it disadvantages promotion or puts the academic at risk for losing a job. We can discuss the dangers of academic tenuring and job insecurity, adjuncts and all that. This is all true and it is indeed a miserable state of affairs. However, I also know we must have the courage of our convictions here. We must be open to alternative modes of employment (outside academia, if need be). We must put our research into the hands of the greatest number of people and allow them to do with it what inspires them. For now, open access publishing is what satisfies this condition of greatest access. That is what I want from my research. The rest, for me, is resume fodder. I value my professional reputation as much as it allows me to engage in the conversations I want to engage in on the subjects and projects that matter to me. It gives me the opportunity to contribute my voice to the discussion (because I believe my voice offers value). The rest is grandstanding, for me. Björk, B. C., Laakso, M., Welling, P., & Paetau, P. (2013). Anatomy of green open access. J. Am. Soc. Inf. Sci. Technol. Hitchcock, S. (2013). The effect of open access and downloads (‘hits’) on citation impact: a bibliography of studies. Solomon, D. J., Laakso, M., & Björk, B. C. (2013). A longitudinal comparison of citation rates and growth among open access journals. Journal of Informetrics, 7(3), 642-650.